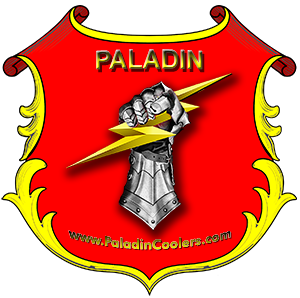 Paladin tumblers are 18/8 stainless steel, double wall vacuum insulated. 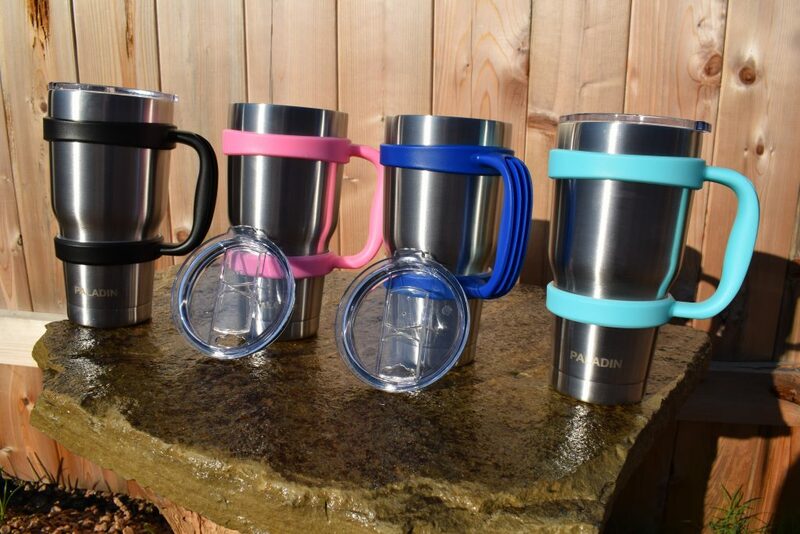 Keeps your drinks ice cold for many hours and keeps hot beverages hot for hours. They keep drinks as hot or cold as long as nature will allow. The crystal clear lid lets you know exactly how much drink you have. Easy to clean. 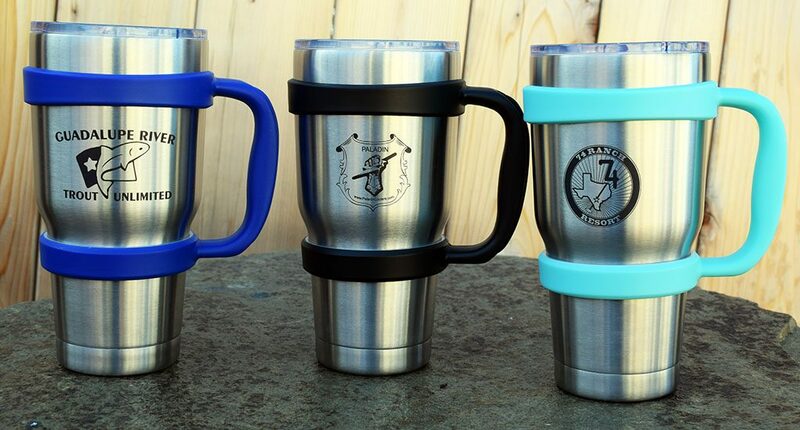 I sell my tumblers for the inexpensive price of $17.99 each. PLEASE USE CAUTION: Liquids in this mug can be very hot. Mug is not recommended for use by young children. Caring for your thermal mug: Clean mug thoroughly before and after each use • Wash all parts by hand with warm, soapy water, and rinse and dry them thoroughly • Store mug with lid removed. CAUTION: Do not place mug In dishwasher, microwave or freezer • Do not clean mug with abrasive tools. or cleaners containing bleach or chlorine • Do not overfill mug, as hot liquids can scold. • To prevent overflow, do not fill mug past the base of the lid. • Keep the mug that contains hot liquids out of the reach of children. • When filling mug with hot liquids, make sure lid is properly and securely attached to mug before using it. • When filling mug with hot liquids. make sure liquid is not too hot to drink. • For use with liquids only – do not place soups or solid foods in mug. This item was designed to keep liquids hot or cold for an extended amount of time . When drinking hot liquids, please allow to cool to a drinkable temperature before securing lid. • Be careful when securing lid, as liquid may escape via dink hole. • Always check to make sure your lid is secured before drinking.